Here’s the lesson for this blog post. When a problem is threatening to get out of hand, we should act earlier than we do–much, much earlier! When we wait, it can have very bad consequences. (Even, in the case of Ebola, very deadly consequences). Sounds like wise counsel and advice to me. Instead, the world responded with what Nicholas Kristof of The New York Times called “a global shrug.” Over the summer, as residents of the developed world comforted themselves with the knowledge that an outbreak on our home turf was highly unlikely, the death toll in one of the poorest corners of the world climbed sharply. Now, take a look at this chart (from the Business Insider article). So, the lesson: start looking at everything you do much more closely. What is set up to go wrong? What warning signs are you missing? What crisis might be (sometimes, almost certainly will be) coming “’round the bend”? Identify early; act quickly. Don’t wait. Don’t wait to see if things will get worse. Chances are they will. Waiting is “tardy, traumatic, expensive” – and can be pretty devastating. We’re continuing our series in the Cookingham Connection with a perspective from an emerging leader in local government. You heard what the assistant city manager of Daly City, California had to say about Cookingham’s 9th guidepost. Now hear it from the perspective of Charlotte Colley. Charlotte is the Village Administrator for the Village of New Concord, Ohio. She earned her Master of Arts in Political Science at Miami University. I have to admit that until recently, I was not familiar with L.P. Cookingham, but ELGL has opened my eyes to the wisdom that is L.P. Cookingham, and I am ready to talk a little about my reaction to this guidepost. After completing my Master’s degree I took a position with a local government consulting firm, Management Partners, Inc. I cannot tell you how beneficial this experience has been to my career! One skill that has been particularly helpful is the art of conducting an interview. I learned very quickly that to do my job effectively, I had to understand our client. That meant asking good questions, listening to the answer, and asking follow-up questions based on the answer. This was not something that came naturally, and I still have to work at it, but it is immensely important to what I do and how I interact with others in my organization and around the region. I took this approach with me and used it during my time with the City of Dublin and the City of New Albany. In addition to getting a better understanding of the organizational structure, routine tasks, internal politics, highlights, and issues, I have also made some wonderful connections and friends! Whenever you start with a new organization, it’s important to develop a good working relationship with other employees. They will be the ones to tell you the good places to eat lunch, help with operating the finicky copier, walk you through the “Finance rulebook”, and be an ally/ear/shoulder when you need one. I’m not just talking about department directors either. I believe that regardless of your official title, you must to be kind and get to know staff at all levels of your organization. This includes administrative assistants, parks and recreation maintenance workers, dispatchers, IT analysts, payroll specialists, engineering managers, HR specialists, police officers, custodial staff, and others. These employees are the lifeblood of your organization and understanding what they do and the obstacles they face will better prepare you for your role in the organization, whatever that may be. As a newly appointed village administrator (I’ve only been on the job for 2.5 weeks! ), this guidepost has been incredibly insightful to me. I made it a point to meet as many staff in my organization as possibly within my first few days on the job. I went to their offices and took time to try and learn their names (still working on this one, but it’s probably the most important), ask about their duties, their tenure with the Village, their family life, and I also talked to them about myself and my family a bit. I really wanted to try and lay the groundwork for a good working relationship, and also let them see my personal side. The Village hired me right before budget development so if, through any of these initial and follow-up discussions with my staff, I notice something that may need to be tweaked or reviewed, we can talk about it in the context of the budget. Not everything will fit into this nice little bucket, so that’s where I need to keep reminding myself to take it slow, learn about the work done before I came to the Village, and engage with staff as a partner—not a manager—to solve problems and make improvements. We’re continuing in our Cookingham Connection series today as we hear from Julie Underwood. Underwood is the Assistant City Manager for the City of Daly City, California. She was previously the city manager for Shoreline, Washington and obtained her MPA from Virginia Tech. Ultimately, Cookingham provides advice on change. And in fact, Cookingham advises us that there’s a right and wrong way to make changes. Let’s face it. When a new manager comes on board, the entire organization has to adjust to new leadership. Some staff will want to “show off” and demonstrate what a good job they’re doing. They have a lot of pride and would welcome the new boss’ attention. On the opposite side of the continuum, there are staff who come to work daily doing their job with little fanfare. They don’t want a lot of attention and more or less want to be left alone to get their job done. And as you might expect, there are a lot of folks in the middle, who are indifferent. It would be nice to show off their work, but if the new boss doesn’t get around to seeing it, it’s not the end of the world. Cookingham encourages us to get out into the organization and get acquainted with staff and learn how they do their job. I always loved going out into the field. It was enlightening to visit the Parks and Recreation Department to see the different kinds of activities the kids were doing during summer camp and how much the kids were enjoying themselves. I also liked seeing the Public Works Streets Division prep for the annual slurry seal program giving me a better sense of the level of work and resources involved. And probably one of the best experiences I had was visiting a residence following a Police bust and seeing the condition of the home and the pride the officers had in making a difference for this particular neighborhood. As a manager, it’s common to be busy with work that keeps you away from front-line staff. However, it is important to be thoughtful and deliberate in making time to visit the teams across your city. To help me achieve this, I would block out time on my calendar to “walk around.” If I did not put it on my calendar, there was little chance it would happen. And even then, sometimes it would be bumped for other pressing matters. When I did find time to visit employees, it was a great opportunity to hear suggestions and ideas for making improvements. When your staff sees a genuine interest in their work, they are more willing to be engaged. And according to Gallup’s study on the State of the Global Workplace, only 13% of employees worldwide are engaged at work. A disengaged workforce impacts motivation, performance, and productivity. And this would certainly impact the success and endurance of any change that would be implemented. Cookingham subtly points out that as the manager, you’re the one that gets to decide if a change is needed. However, in today’s world, it’s not just about deciding to change something—it’s also about involving the workforce in shaping how that change happens. We’re continuing our series in the Cookingham Connection with a perspective from an emerging leader in local government. You heard what a city administrator in Shelton, Washington had to say about Cookingham’s 10th guidepost. Now hear it from the perspective of Marc Nelson. Marc is a Special Projects Coordinator for the City of Roanoke, Virginia where he manages development efforts on select public-private partnership projects. He earned his MPA from the University of North Carolina at Chapel Hill. Give credit where credit belongs, and always give the council all the credit you can. They have to be re-elected. Because the theme of this week’s Guidepost is giving credit where credit is due, it’s only fitting to acknowledge the various, mostly anonymous, contributors at Wikipedia, not only for enlightening me as to the accuracy of Mr. Montague’s quote, but also for making me aware he ever existed at all. Without them, I would be (improperly) singing the praises of former U.S. President Harry Truman or the late UCLA basketball coach John Wooden—both of whom, it’s been rumored, were pretty good at their jobs as well. All humor aside, the underlying message of Dave O’Leary’s Guidepost permeates all aspects of a public sector career—the work is inherently rewarding, but it can also be hard and seemingly thankless, which is all the more reason to generously thank those who help you along the way. I have worked in local government project management for nearly eight years. During that time, I’ve attended my share of groundbreaking ceremonies and ribbon-cutting celebrations, all of which have included warm remarks directed to the laundry list of dignitaries and VIPs who helped make that project a reality. City employees don’t often listen for their names to be called during such remarks, which makes it all the more special to see their faces light up when they do. On the other hand, it’s standard protocol to thank City Council members on such occasions, and for good reason—they are typically the final stop for approval on most projects and the first to hear from the public if something goes wrong. Elected officials are the gatekeepers for public trust and many have spent a lifetime building a reputation worthy of serving their communities. By publicly thanking them for their time and investment, you’re also acknowledging the underlying belief and trust they place in you. More often than not, a successful career in the public sector provides us with ample opportunities to do just that. One of the great things about being in a lot of places with a lot of different kind of leaders is that there are times when you just happen to be in the right place at the right time. Unexpectedly, you find some gold nuggets. For me, those times are when someone who’s a great leader, though unknown outside of a rather small circle of people, decides that it’s the right moment to share an insight with you that they didn’t read in a blog or a book—they discovered it in the crucible of life. Often, this is an insight that the person has carried inside their heart for a long time. It’s something that they have silently vetted in a number of different situations, but you get the distinct impression that it’s not something that they have articulated very often. When you come up on one of those moments, it’s like seeing an elk in the meadow or a deer along the walking path by the lake. You slow everything down and take it in. You just sort of sense that the only thing to do is to listen. Just listen. That happened to me not long ago as a seasoned leader who is more than a few years older than me (and I’ll admit that makes him OLD!) opened up and said to me, “Here’s the three most important things that I’ve learned about working with boards, councils, and organizations.” There was a ring of truth to each one of them that caused them to stick with me. Here’s what he said. Insecure people are very vulnerable. They are vulnerable to the anger and manipulation of people who have political and self-centered ambitions. They are afraid to stand for right because they fear that they will be identified with the “wrong” crowd. It’s hard to predict what an insecure person will do, but always beware that their insecurity will be the most powerful factor in their decision-making. Educated stakeholders become your champions. Real leadership calls for service above self. Sadly, many of the leadership examples we see today seem to put more emphasis on the glamour of the leader’s life. There’s a sense that leadership means perks and privileges. However, real leadership—the kind of leadership we need in every sector—is about subduing your own needs for the greater good of the organization, society, and other people. Any government, organization, department, or team that has a leader that remembers these things is well on its way to becoming very successful. As John Maxwell has often said, “If you want to grow the organization, first you have to grow the leader.” Remember these things and the impact of your leadership will undoubtedly grow! It takes us back to a BIG little reminder. You can make progress, get better, move forward, with small steps—one small step at a time. Amy Cuddy is emphasizing using “power poses” to prepare for a presentation, an interview … or just to come across in all conversations with more confidence. But the principle is valid and valuable, in many ways, all the time. Small changes can have a big impact. They are writing about small changes in how you ask questions—small changes that can lead to persuasion, higher response rates, more agreement, and buy-in. But again, the principle seems to benefit in every aspect of life and work. Take an inventory. What small changes would you make that would be genuinely helpful to you? Think about your posture and look. Think about what you schedule into your weekly calendar. Think about the subject lines and the first lines of your e-mails. Think about the clutter around your work space. What small changes, what tiny tweaks, could lead to B!G changes for the better for you? Monday morning is the most stress-filled morning of the week. Don’t let Monday push you around. Take charge of your week now. Connect with that person you’ve been meaning to reach out to. You’re so busy solving issues that you’re neglecting connections. Set up lunch with someone you don’t know, perhaps another leader within your organization. Learn about their challenges and opportunities. Ask how you can be helpful. Give an encouraging word to high performers. It’s easy to neglect those who are making the biggest contribution. Stop by their office. Thank them for a job well done. Be specific. Then, turn and walk away. Leave them waiting for the other shoe to drop. Choose a priority. What’s important, now? Of all the issues you’re grappling with, which one will make the most difference for your organization. How much time can you give it? Who do you need to involve? What does progress look like? Address an issue you’ve been putting off. Your heart rate increases every time you think of it. Don’t solve it. Just start a conversation. Identify a team member that is under-performing. Don’t assume you know why. Ask questions. Express concern for their success with compassion. Clarify expectations with someone who disappointed you. Weak leaders aren’t clear about their expectations. Then, when they’re disappointed, they feel frustrated at others. You are the issue if you haven’t clarified expectations. Shift to gratitude when you feel frustrated or worried. Be grateful for opportunities to serve. You matter most when you’re working on issues that matter. How can you face your week like a leader? Which of the suggests above resonate with you? We’re continuing in our Cookingham Connection series today as we hear from Dave O’Leary. O’Leary is the City Administrator for the City of Shelton, Washington. He also served as city administrator for Lake Stevens, Washington and Garden City, Idaho. O’Leary obtained his Bachelor of Social Science and MPA from Boise State University. Every year, our state professional association gives awards for significant accomplishments in city and county management. Obviously, those accepting awards are good managers. And almost without exception, they use their honored time at the microphone to give credit to others. Well, let’s start with full disclosure. Government jobs can be pretty thankless. In this time of confrontational politics, shrinking resources, and increasing complexity, there are generally more troublesome dilemmas than opportunities for accomplishment. This looks like a perilous leadership environment, but it is not. Think about it. People did not get into a public sector job for the fame or fortune. Most did so because they wanted to serve other people. Frankly, most don’t really need validation. But like human beings everywhere, they certainly love it—passionately. So you start with a person who is inherently self-motivated. Then, you publicly express appreciation for their efforts. The result is an emotional response that brims with constructive energy and possibility. It sounds like this message is about regular employees, and it is. But it also is about elected officials. They probably get more negative feedback than any other employee group. Also, without their support, a manager can accomplish nothing—let alone something excellent. So be generous with the credit. People in your organization, at all levels, are earning it every day. And if you pass along a little positive energy, they will return the favor with excellence. The most successful managers already know this to be true. Networking was ingrained into my system by the time I graduated college. My professor would always say, “It’s not what you know; it’s who you know” when the topic of careers came up in class. He wanted me to start joining news and journalism associations and go to almost any event that claimed to be specifically for students with a communications major. But even with all the positives I learned about networking, I hated it! The thought of it made me cringe. Talking to a random person solely for the purpose of a possible “career connection” seemed so artificial. To me, it was like being that “friend” who only wants to be close to you because you have something they want. My professor hated that I wasn’t on the prowl for every business card I could find, but I couldn’t bring myself to do that. It wasn’t until years later that I realized what networking really was about—building real relationships. As I think back at the real connections I made in school, during my internships, and on my career path, I realize that I was networking all along. The “industry relationships” I’ve gained along the way are a result of trying to be the best employee/coworker I could be, being myself to those I just met, and not only caring about the things that would benefit me. You can’t succeed at networking if you’re acting like a piranha—attacking at the first sight of someone wearing a name tag from an organization in which you aspire to work. Networking takes time, and just like any other valuable relationship you have, you can’t build it overnight. Introduce yourself, state why you’re introducing yourself, and let any conversation that naturally flows from that take its course. Online, connecting with others is just a click away with the rising popularity of LinkedIn. But don’t be too “click happy” and start trying to build your network just for number’s sake. It’s quality over quantity. Who cares if you have more than 500 connections on LinkedIn if you’re not even close enough to a handful of them to call or send a direct email without it being awkward? This isn’t a criticism of “meet and greet” events. It’s a great way to meet other professionals—but don’t think your job is done just because you’ve exchanged information. Unless your hobby is collecting business cards, what you do with your contacts after those events is where the real networking takes place. Build real relationships and maintain them. 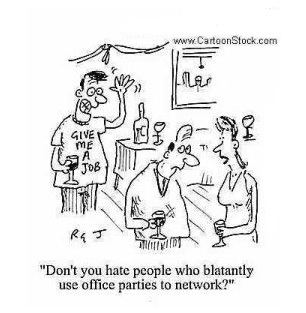 That’s what networking is all about. Let’s talk about the value of silence. Intentional silence. You, alone with your thoughts. But now, let’s consider the value of silence— you alone with your thoughts, but in a room with other people also alone with their thoughts. Now, in that silence, let’s consider “guiding” those thoughts in the silence. First, you focus… in silence. Then, you begin speaking. This is a new trend. At least, a small trend. It’s a practice at the top levels at Amazon. And it’s a new idea—an idea that has already proven to be an improvement on the “old way” for brainstorming sessions. I’m a big fan of this trend. Big fan! I think it is brilliant. And I’ve tried it out, and it makes for better conversation between the people in the room. Further down, I’ll describe what I am doing with this idea. Here’s the Amazon idea. What they do at Amazon is that for each meeting of his “S Team”, the top team, a different person writes a six-page narrative to be read in silence by the members of the group… together. They do not get the document before the meeting. It is handed out, and the people read it, mark it up, come up with their own questions and reflections; and then, after about 30 minutes of silent reading and reflection, they begin their discussion. All of the participants sat together in a room separated by dividers to refrain them from making visible contact with one another. Researchers further tested the impact cognitive fixation has on others’ ideas by altering the number of ideas that different group participants were exposed to. They found that the more notifications a participant saw, the less creative, diverse ideas they offered. In the first five minutes of the session, individual participants generated 44% more ideas than the group participants, but this number decreased with time, which concludes that a group session after an individual session might be the optimal brainstorming technique. So, for better brainstorming, have individuals write their ideas (obviously, prompted by a common question) in silence; and after some silence, begin the verbal discussion. Here’s what I think. In this smartphone age of always checking e-mail and minds going one thousand ways at once, we need to help a group “focus on the same thing” in a meeting or a group discussion of any kind. One way to do this is to focus on the same thing in silence. Whether it is a document for each to read, or a question to respond to individually on paper, it focuses the members of the group on the same thing. The silence is a great focuser! Then, that silent-facilitated shared focus enables much deeper and more productive discussions. To be silent is not to lose your tongue. On the contrary, it is only through silence that one can discover something new to talk about. One who talked incessantly, without stopping to look and listen, would repeat himself ad nauseam. I think you should explore the creative use of “silence together” on your team. You might find it to be very much worth the effort. That’s certainly what I’ve found.